How do I buy a Bruges Waffles & Frites Franchise? Bruges Waffles & Frites is one of the hottest new franchises in the fast-casual restaurant industry with a unique, delicious menu that can’t be found anywhere else. 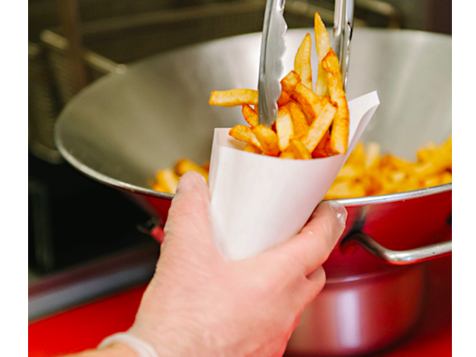 Bruges serves up an authentic European experience with artisan-made Liège waffles, genuine Belgian frites (the original and best french fry! ), the famous Machine Gun Sandwich®, and other Belgian specialties. A unique, artisanal menu that will delight food lovers in your area! Bruges Waffles & Frites is one of the hottest new franchises in the fast-casual restaurant industry with a unique, delicious menu that can’t be found anywhere else. Bruges serves up an authentic European experience with artisan-made Liège waffles, genuine Belgian frites (the original and best french fry! ), the famous Machine Gun Sandwich®, and other Belgian specialties. If you are looking to bring something special to your community, Bruges will delight your customers with a bit of Europe right in your neighborhood. Our story began in the charming town of Bruges, Belgium, where Pierre Vandamme grew up relishing old-world cuisine. When he met fellow Belgian Philippe Wyffels in Salt Lake City, Utah, the two reminisced about the flavors of their youth. They set out to recreate the authentic Liège waffle of their memories, and then began sharing their delicious rediscovery at the local farmers market. It was an instant success! 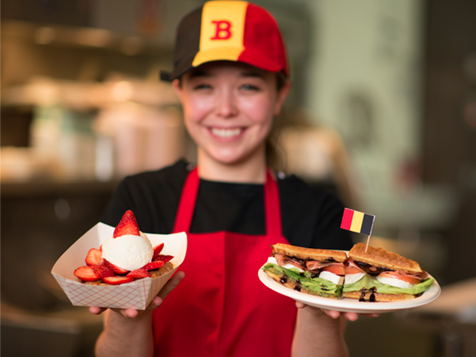 Soon they added more Belgian specialties to the menu and opened their first restaurant location in downtown Salt Lake City. 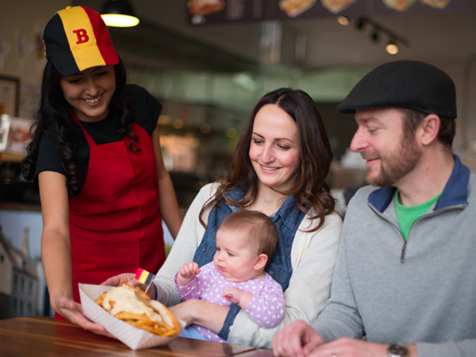 Today, Bruges Waffles & Frites operates multiple locations in Utah, and is offering franchise territories throughout the western U.S.
Fun, friendly and cultured—but never pretentious! We hope you’ll join our family! 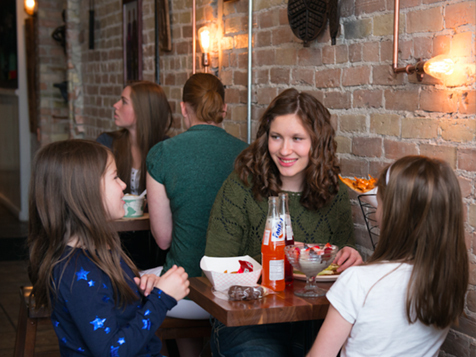 There is so much more to tell, and we would love to learn about you as well. Please complete the form below to be contacted by a Bruges representative who will guide you through the discovery process. Bruges Waffles & Frites is offering territories in the following states: Arizona, Colorado, Idaho, Nevada, Oregon, and Washington. 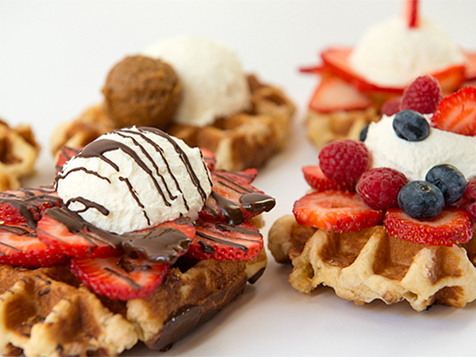 Bruges Waffles & Frites is not currently active in our directory, but here are some other recommended selections for you to explore.